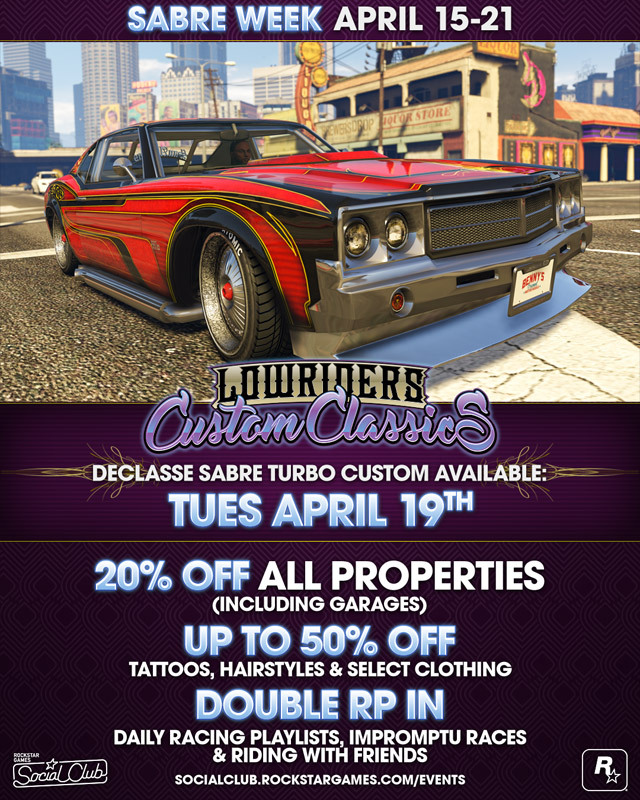 The Declasse Sabre Turbo will be rolling into Benny's Original Motorworks next Tuesday, April 19th, and once again you can rack up some GTA$ and RP ahead of time starting right now through next week Thursday, April 21st. The imposing Declasse Sabre Turbo Custom will be available for Benny's signature styling, with a wide range of impressive upgrades to choose from - whether it's hefty V8 engine blocks or glorious interiors and liveries designed to make a lasting impact. If the new Declasse Sabre Turbo Custom has caught your eye, or a week spent racing other desirable vehicles has given you a taste for some new fast wheels, you might be considering additional homes and garages for your growing collection. Capitalize on 20% off new Properties to accommodate any shiny, high-octane new toys coming your way. Get your hair did or give your skin some style - all for half the price! Make sure you're looking the part during the week's fuel-injected activities with a cool 50% off all Tattoos and Hairstyles and 25% off select Lowriders Clothing - to make sure you're looking as fresh as your custom livery. Double RP bonuses are also available outside of the Racing Playlists. Impromptu Races will yield the twice the RP for anyone wanting to challenge other Freemode petrol-heads and if you're feeling up for some company on your speedy road trips, rake up Double RP when riding with friends and other players as well – the more players in a vehicle, the quicker you’ll all earn RP. Get what you want faster - with GTA$ cash-back rebate bonuses available until Thursday, April 21st. This week only, purchase a Bull, Great White, Whale or Megalodon Shark Card and receive free bonus GTA$ - the bigger the card value, the heftier the GTA$ rebate you'll get. 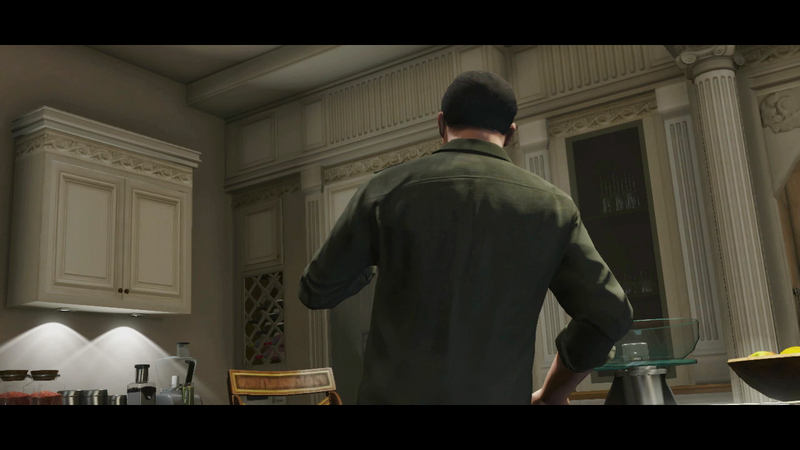 Cards purchased between Friday, April 15th and Thursday, April 21st qualify, and all the bonus GTA$ you earn during that period will be automatically deposited as one lump sum in your in-game Maze Bank Checking account by Friday, April 29th. You can purchase Shark Cards in-game or via your favorite online or local retailer. Spend wisely, cash therapy is fleeting. More details. Enjot and join the fun in the forums! GTA Online Sabre Week - The Sabre is next in line for Benny's customization so enjoy yet another week of discounts and bonuses in new-gen GTA Online.